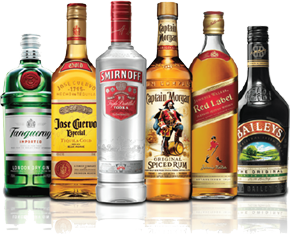 PartyDrinks.BG is an e-shop which delivers drinks with guaranteed quality and best prices to our customers. Our portfolio includes above 2000 products and we permanently add new ones. The different scenarios for delivery are suitable for both business and private events, but for gifts or private collections too and also for every occasion, that needs products with guaranteed quality directly to you. PartyDrinks.BG sells towards its clients at wholesale rates, and we have no limitations in the quantity of the ordered products. You may place your order via our website www.PartyDrinks.BG where you may observe the price of all our products. PartyDrinks.BG delivers directly from the importers and the Bulgarian manufactures and this is a recipe that guarantees the best price from one side and the guaranteed quality from other side of the products we sell. Of course our biggest advantage is the convenience, which we guarantee to our clients with the delivery to any address to Bulgaria. Our payment methods are flexible, as all our clients may pay with cash on the delivery, with a bank card, via account at Epay.BG, Bank Wire transfer, and even at a cash stand at EasyPay. We issue an invoice with a receipt for every transaction, which is the guarantee of the quality of our products and our services.